Read customer reviews of the Allocacoc PowerCube 1.5m with 5 Power Outlets - Red (5300/AUEXPCRED). After a purchase, we invite our customers to leave a product review. 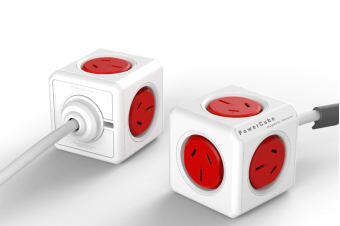 The customer reviews for Allocacoc PowerCube 1.5m with 5 Power Outlets - Red (5300/AUEXPCRED) are below. They are robust and well made. I like the idea of being able to stick them to the underside of a table or desk. Very good product. Takes less space than my old multi boxes .